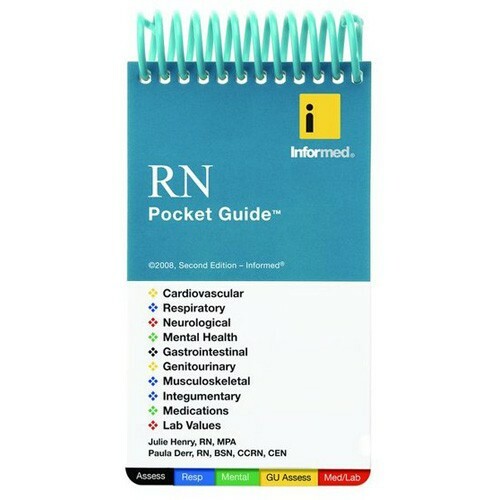 Whether you are a beginning or experienced nurse, the RN Pocket Guide will prove to be an essential took throughout your career. This is the resource that recent graduates as well as lifelong nurses depond on to keep a comprehensive library of information at their fingertips. 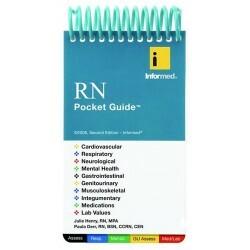 At only 3" x 5", this guide fits in your pocket and gives you immediate access to information nurses need daily, in an easy, readable, format.